Pinterest is a great tool for small businesses to reach a different audience. Many people use Pinterest as a search engine for new ideas, products, and “how to” information, and plenty of us could spend hours on Pinterest researching and Pinning content to our favorite boards. You could spend even more time as a blogger or small business browsing and uploading the perfect Pins. We’ve found a great tool to limit your time Pinning and planning. 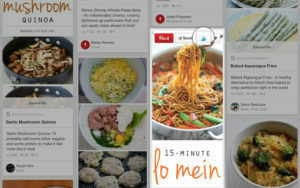 If you are constantly Pinning, you need the Tailwind App! Tailwind schedules posts for Pinterest and Instagram. You can use the app to schedule your posts hours, days, or even weeks in advance. Pins can be scheduled from Pinterest, websites, or uploaded directly into Tailwind. 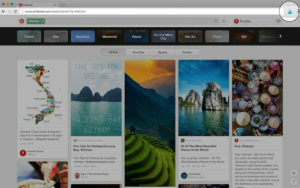 To make Pinning even easier, we recommend downloading the Google Chrome extension. This will create a button on the top right of your browser – and on any website picture (similar to Pinterest’s chrome extension). 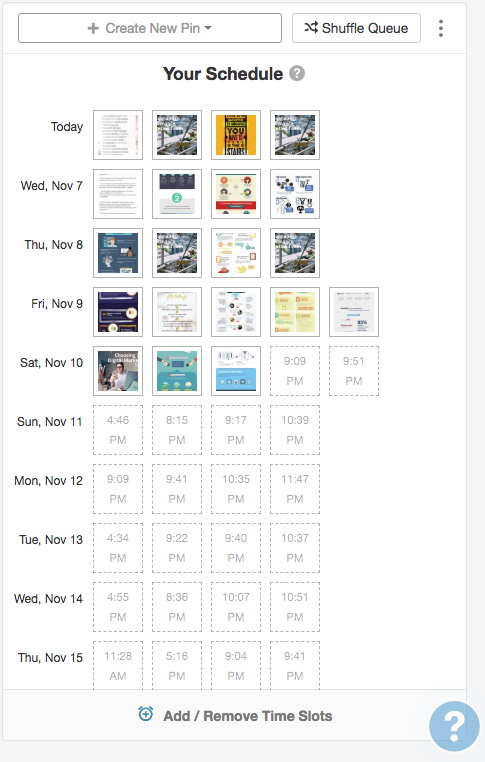 After clicking the Tailwind schedule button, you’ll be able to see all of the shareable images. Add a description and pick the board(s). You can schedule your Pin to as many boards as you like – it’s that easy! Once you’ve scheduled some Pins, they’ll be added to your queue. 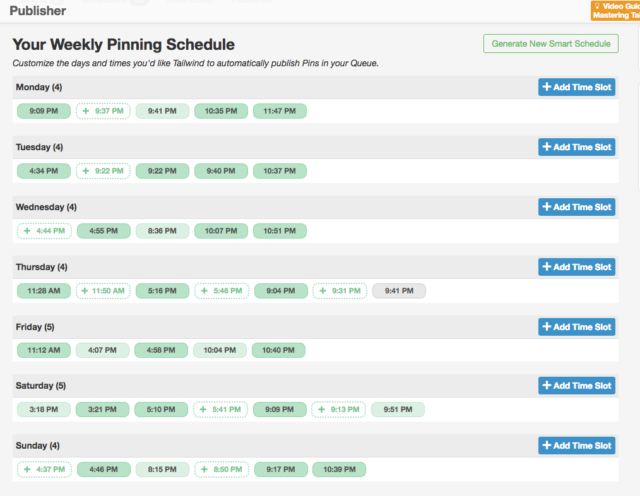 In “your schedule,” you can choose what times each day of the week you would like a Pin to post. Tailwind recommends times based on when your Pin is likely to receive the most engagement, and you can add or remove time slots to fit what works best for you! Tailwind has both free and “Plus” versions. The free version includes up to 100 scheduled pins. The Plus version has unlimited scheduling, and comes with an annual cost of $9.99 per social profile. Plus also has analytics and reporting, suggested content, easy team access, and management for multiple Pinterest and Instagram accounts. The free version is great to start out with – especially if you only want to focus on one social account. The Plus version has great resources that may be worth trying for “power users” and those with multiple accounts. There’s a lot to like about Tailwind App! It helps our clients maintain a constant presence on Pinterest without manually pinning all day. It also spaces out pins so they don’t seem spammy or annoy followers. We also love that it recommends the best times for engagement and eliminates any guesswork. 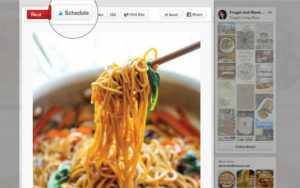 We have used MANY of the scheduling tools available, but there are hardly any for Pinterest. We’re excited there’s finally an option to automate Pins, save you time, and get better results than just manual Pinning. Tools like this help streamline processes, and in general, help you get the most out of social media without getting sucked in. You can maintain a presence for your business without falling down the rabbit hole of endless scrolling and pinning! Try it out and let us know what you think, or contact us to help you get your Pinterest automated today!